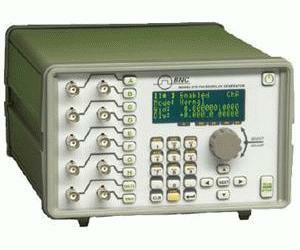 The Model 575 Digital Delay / Pulse Generator represents the latest in timing capabilities. With output configurations as varied as the applications the product serves, the Model 575 is clearly our most versatile instrument. We have combined advanced features such as a Labview/USB interface, complex burst sequences, and Divide-by-N and Setting Profiles with core technology in precision timing. Our 250pS Delay & Width resolution, and 200pS internal channel jitter, allow users great confidence in setting up an experiment or synchronizing multiple events.